A big part of our job is Animal Rescue of abandoned animals, strays and accident victims. 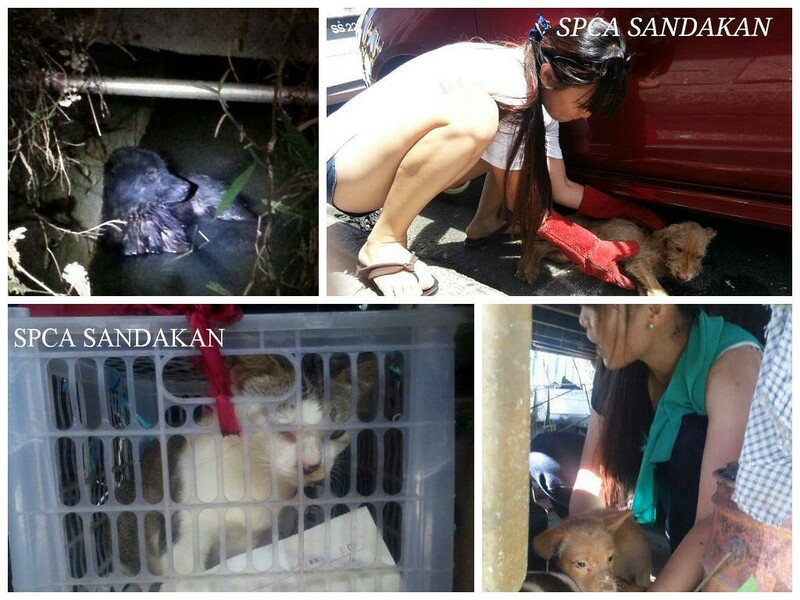 From October 2012 to April 2014, more than 200 dogs and cats have been rescued by SPCA Sandakan. SPCA staff and volunteers risk hands and limbs to provide assistance whenever the public calls to report an animal in trouble. If you come across one that is injured, sick or distressed, these are the ways you can help the animal. If you are unable to do any of the above, try to stay or keep an eye out for the animal till we arrive to the scene. Many of these problems are caused by lack of empathy and insufficient knowledge on the part of pet owners. Animal rescue is the first step of the process, we may have to provide medical treatment and rehabilitation for the animal. Ultimately, we seek to provide a home for the rescued animal and call upon people like you to adopt an animal.